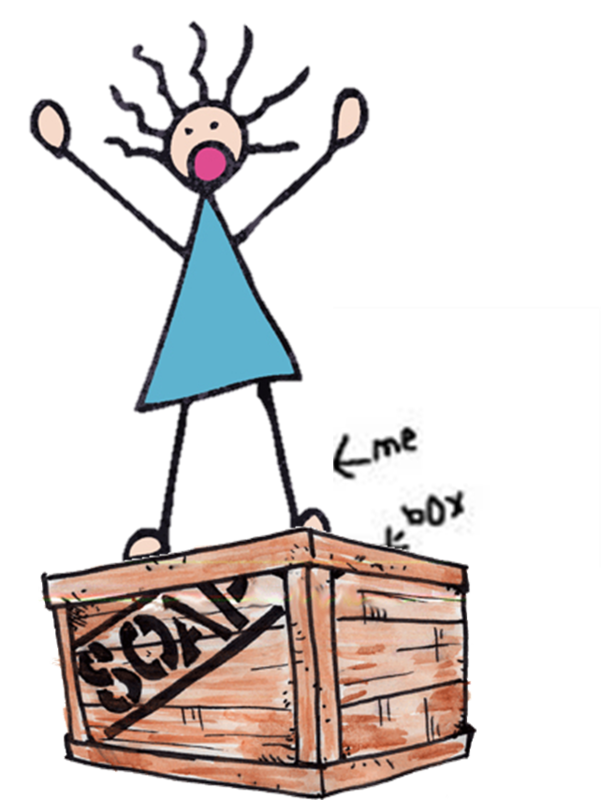 I had to dig out my soap box from the basement storage area, unearth my power tool, assemble the box and then make the leap. I am now ready to commence my bitchfest. Yesterday, I took Finnley on our usual 4 mile hike in Central Park. After passing the picturesque Bethesda Terrace, I noticed an older gentleman drop a piece of paper. I approached and picked up the paper, handing it to him and moving on, foolishly thinking he had mislaid something of importance. He yelled after me, inquiring why I would give him the paper. We scampered on and about one mile down the path encountered a tourist riding a bike on the sidewalk and heard a scream. A senior citizen had been upended and couldn’t get up. Finn and I ran to her aid and with our super powers caught up to the culprit. I forcefully told him not to ride on the sidewalk and why hadn’t he helped the older woman that he had knocked over. I took his photo and told him to rot in hell. I was out for a walk to exercise my pup and breathe in the fall air and these two confrontations had taken a sledge hammer to my good mood. I could not foresee a trifecta. Little did I know that there was one more issue lurking around the bend. Finnley stopped to take care of her daily ablution. There was a 20 something guy sitting nearby on a rock, sketching. He glanced over and said that what my dog was doing was disgusting. He then raised his clipboard to block the view and started screaming that he was going to kill me and my pathetic dog. I bent down, picked up things and he was still ranting. I told him that a public park was not the place for someone who was easily offended by a dog pooping. What I wanted to do was take her daily droppings and shove it down his throat, but I moved on. What the hell…can’t even take a walk without being confronted by human excrement.